It happened in a flash. 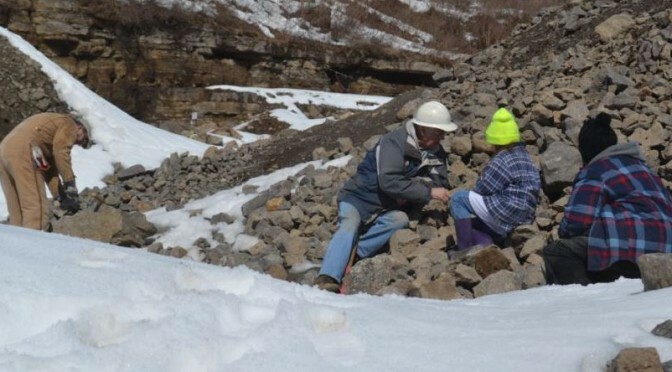 At our April Friday club meeting, trip leader Bill Chapman announced that we had been granted permission to enter Seneca Stone Quarry on the upcoming Monday and wondered who might be free and interested. Seneca Falls is quite close and apparently we either have a lot of idle folk in the club or a lot of anxious collectors ready to get busy. 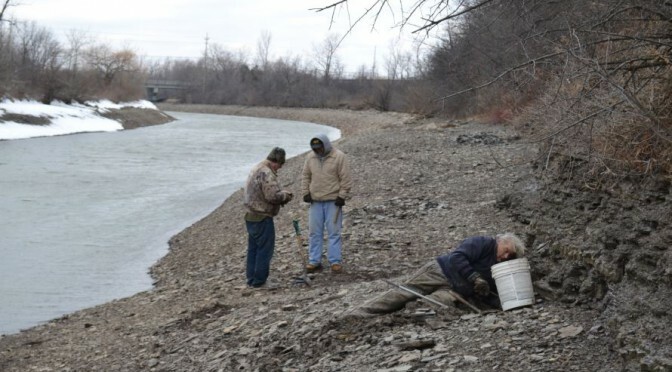 Eleven folks indicated interest and in a slight mist all eleven converged on the quarry site just south of Seneca Falls ready to collect on Monday morning April 11th. 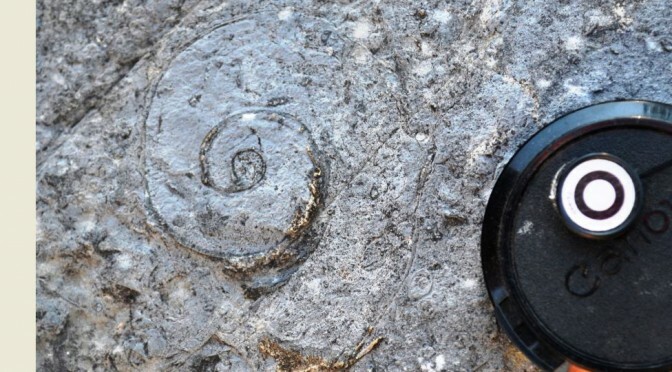 Ace of Diamonds for Stromatolites? OK. Admit it, you thought this would be a note about the spectacular doubly terminated clear quartz crystals hiding in vugs in dolostones. Referred to as Herkimer diamonds, and known to mineral enthusiasts from across the country simply as “Herks” there has sure been enough written about them to last a lifetime. And goodness knows we all like to travel to Herkimer County to collect them. But no, this is not just another article about quartz. Stromatolites are bio-chemically supported structures formed in shallow water when microscopic cyanobacterial material (formally known as blue-green algae) acts to bind and eventually cement sedimentary grains into what are essentially microbial mats. 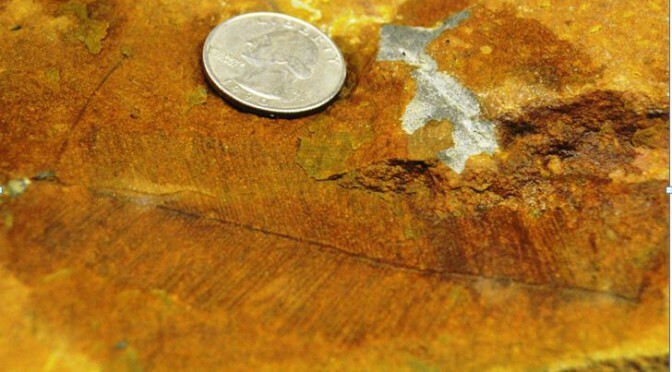 Changing climatic conditions, water depth, sediment influx, or the biology of the micro-organisms themselves leads to finely layered biochemical accretionary structures. 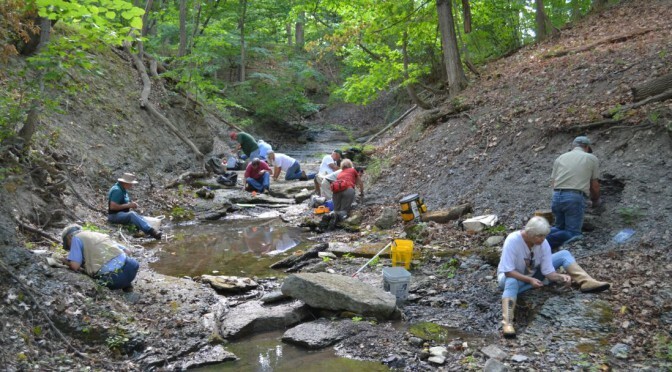 There are many well known fossil collecting sites in the creeks and gullies draining into the Finger Lakes (places like Kashong Gully, Deep Run, and Portland Point to name a few). 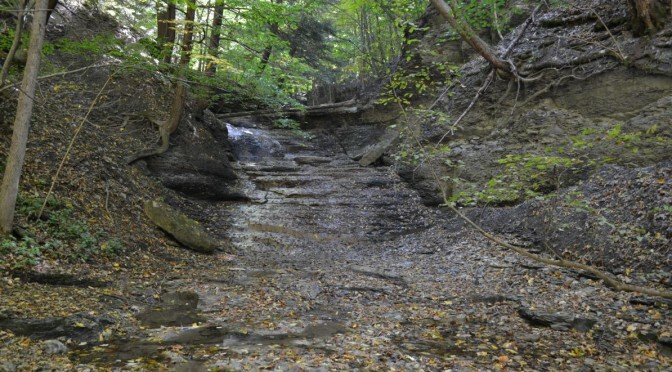 But for every well documented site there are a dozen lesser known locales where drainages into the Finger Lakes expose the fossil rich strata of the 385 million year old Middle Devonian Hamilton Group. 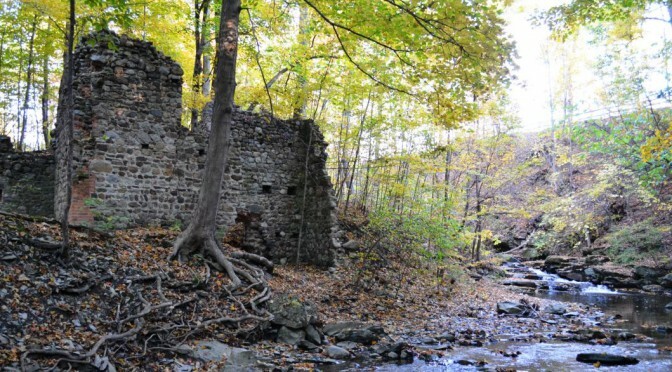 Indian Creek, near Williard on the eastern side of Seneca Lake, is one such location. 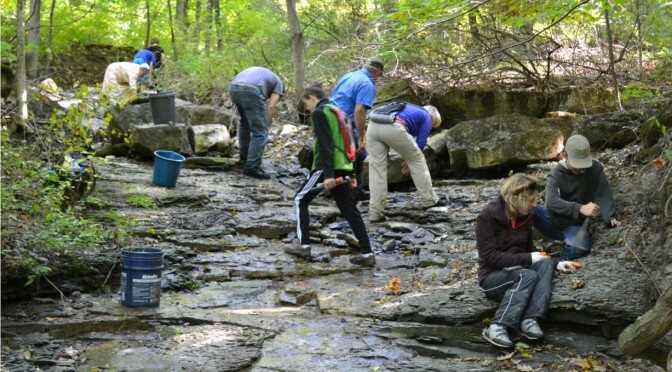 The New York State Geological Association (NYSGA) held its annual meeting in Plattsburgh in September. 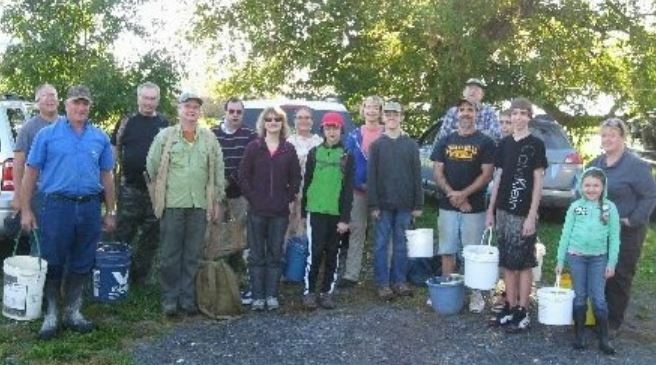 The event, hosted by SUNY-Plattsburgh, featured field trips to several Adirondack sites and I attended one on both days of the event. But we will leave that to a subsequent post. This note focuses on an outcrop just outside Plattsburgh where the gastropod Maclurites magnus can be found. Encouraged to visit the site by a SUNY-Plattsburgh geology student, I found time Tuesday September 15th to spend a couple hours walking the outcrop with New York Paleontology Society Field Trip Leader Ray McKinney, who just so happens to live in Plattsburgh. Meeting him on this trip was an unexpected bonus to attending NYSGA. 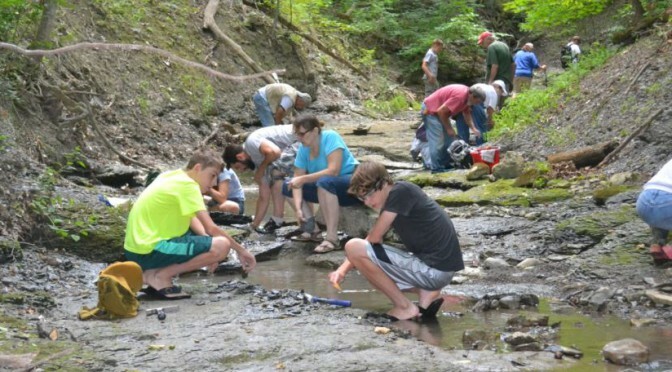 It was a large, enthusiastic group of all ages from two local clubs that gathered on August 9th to trek into Green’s Landing on a fossil hunt. 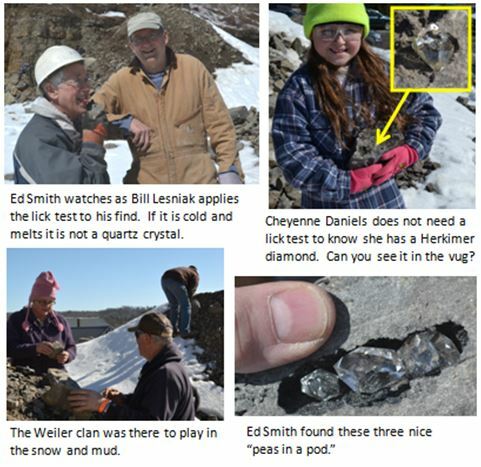 Stephen Mayer led the Wayne County Gem and Mineral Club contingent while Dan Krisher (also a WCGMC member) led the Rochester Academy of Science Fossil Group. The total group numbered 27 with about an equal number from each organization. 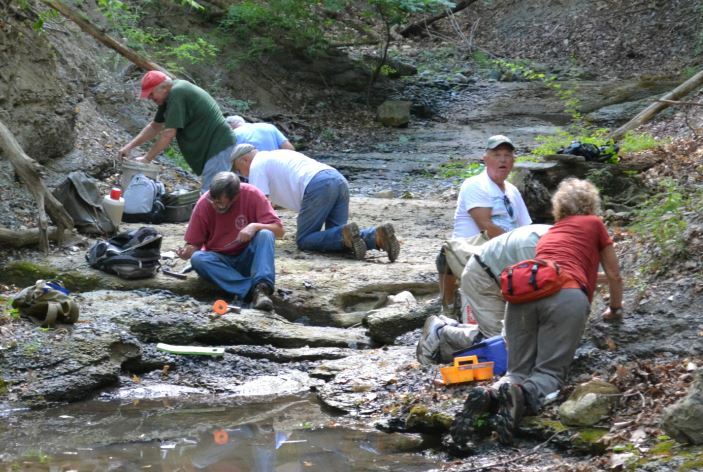 It was a wonderful way for folks in each group to meet fellow fossil enthusiasts while doing what they enjoy most, digging in the Middle Devonian. 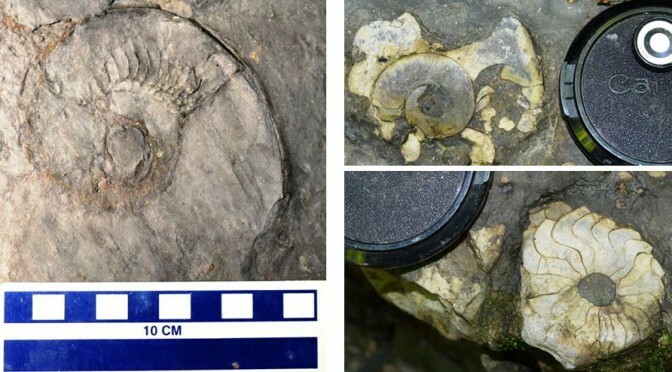 And Green’s Landing was ready for us with as diverse and prolific assemblage of fossils as one could imagine. 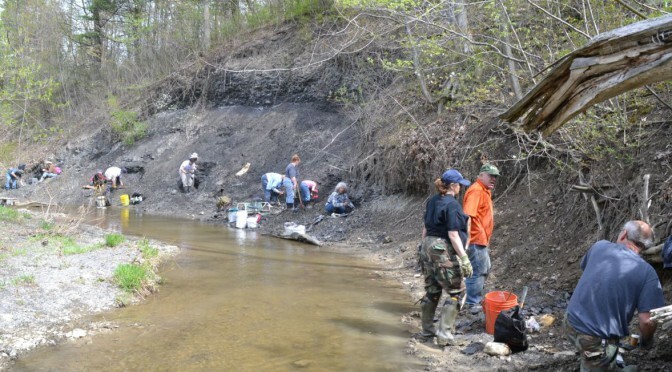 Many of us have become familiar with exposures of fossil-bearing Middle Devonian Hamilton Group in the creeks and gulches draining into the Finger Lakes. And we may have ventured west to Penn-Dixie or other Buffalo region sites. 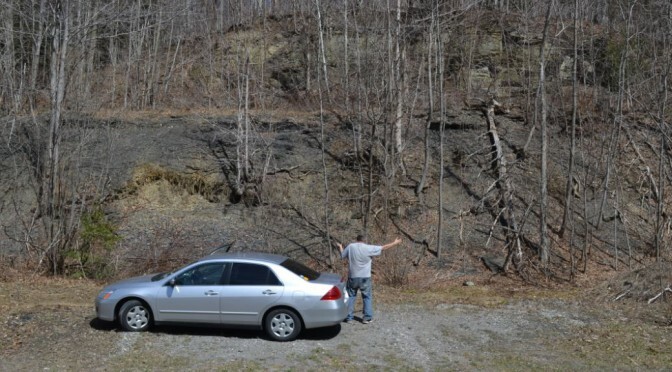 But there are also numerous sites within these same geologic units in central New York. One small site is a simple roadside exposure on Dugway Road, just 2.4 miles northeast of Sheds, Madison County, NY (GPS N 42º 49.94’, W 75º 47.72’).